By Tube: The closest underground station is Tottenham Hale, which is on the Victoria Line. From there, it is only 10 minutes walk to your London Immigration Solicitor's office. By Bike: You can plan your cycle route to us here. There are onsite spaces to lock your bike in a secure location upon arrival. By Car: We are in a trendy and well sort after area near Tottenham Hale station. From Central London, your journey time is approximately 33 minutes via the A503. There is free onsite parking for our clients. 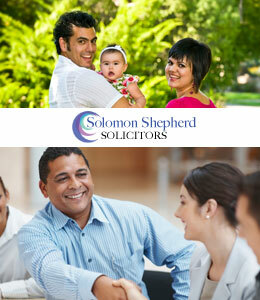 Get directions to our Tottenham legal practice here. By Rail: We are 15 minutes walk from Bruce Grove and Northtumberland Park stations, both of which are on the Liverpool Street to Enfield line. Upon exiting any one of the train stations, enter our postcode (N15 4AQ) into your navigation App. Tottenham Hale train and tube stations are on the same premises, so you are only 10 minutes walk if you travel to by train.